Middle of Nowhere, Center of Everywhere was recorded at both Sharkbite and Tiny Telephone Studios in San Francisco, mixed at Different Fur Studios and produced by Acid King and Billy Anderson. Striking artwork from famed tattoo artist Tim Lehi (who has designed cover art for High On Fire, Earthless and Witch) provides a preliminary indication of the cosmic scope of the musical innards, check it out below, along with the newly announced European tour dates. 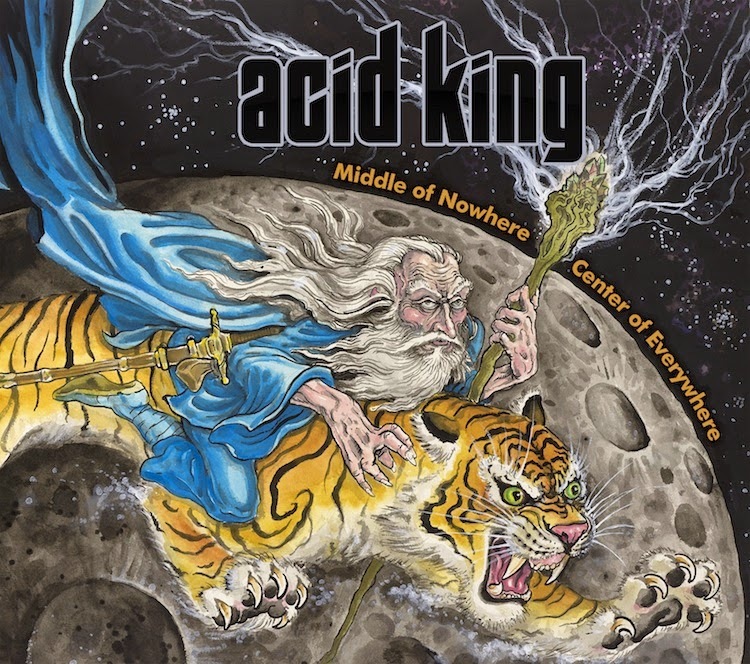 Acid King shall independently release Middle of Nowhere Center of Everywhere on digital format, with the physical CD and vinyl formats to be released via Svart Records on 20 April.